While we try not to get too bogged down in grammar, dear readers, sometimes it can’t be avoided. Erm… that is… sometimes we can’t avoid it. Why? Because as health communicators, we always try to write in active voice. “It can’t be avoided” is in passive voice. Passive voice makes sentences less personal, less clear, and less direct. Yuck! Here’s a quick and dirty explanation of active versus passive voice. Essentially, it’s all about the subject of the sentence. 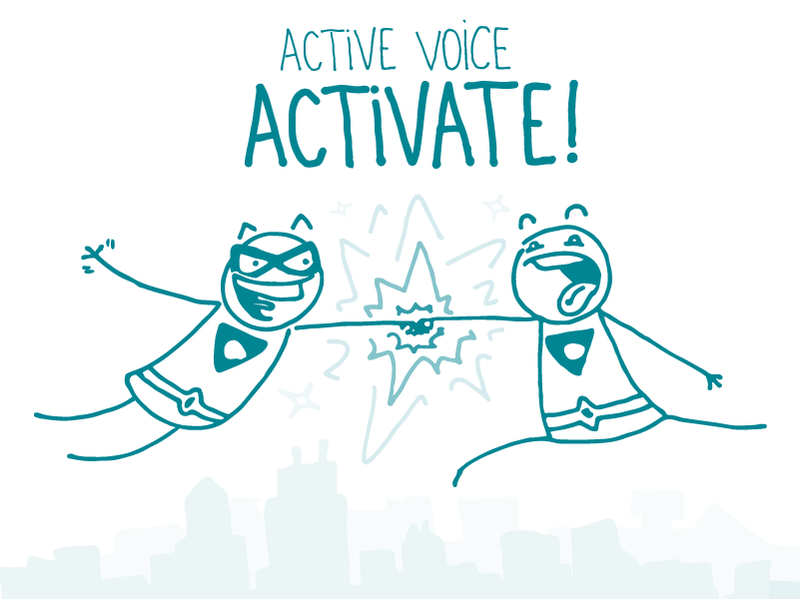 Using active voice means constructing a sentence so that the subject is doing the action. In passive voice, the subject receives the action instead—it doesn’t do the action itself. Active voice: He saw his doctor. Passive voice: He was seen by his doctor. Another problem with passive voice is that it can leave out the subject altogether. That really makes content feel impersonal and indirect. Which of these more effectively communicates that your reader needs a flu shot? Active voice: Doctors recommend that you get a flu shot. Passive voice: Getting a flu shot is recommended. “Getting a flu shot is recommended” is super vague—who’s doing the recommending? You’re much better off specifying the subject (doctors, in this case). How can you recognize passive voice so you’ll know to revise it in your materials? Here’s a helpful hint: look for some form of the verb “to be” in the phrasing of the action—it could be “is,” “are,” “was,” “were,” or “been.” You can also use zombies to help figure it out. Your readers count on you for clear, actionable, personalized health information that they can really understand and use. Using active voice is good writing, period. The bottom line: Using active voice can help personalize your message and keep your content clear and direct.